Nina is trying hard to remain balanced. She had a mental breakdown that nearly cost her her marriage. Nina is glad her husband Rodney decided to let her move back in, so she can be with her two girls again. Her daughters mean everything to her and for them she wants to get as healthy as possible. Even though Nina has doubts about her own mental wellbeing she's trying the best she can. She's lost a lot of friendships, but a new person, Deja, came into her life when she needed it the most. Deja is a single mother and she's struggling to pay the bills. There is a man in her life, but he isn't the kind she can have a steady relationship with. Deja's past remains a problem and Deja is constantly afraid it will catch up with her. Deja never had a friend and even though she loves her, spending time with Nina becomes incredibly complicated. Deja's keeping many secrets from her friend, but this becomes increasingly difficult. Deja's problems are threatening to get out of hand and they could be a threat to Nina's mental wellbeing. What will happen if Deja can't keep things under control? Everything She Lost is a beautiful gripping story. After her breakdown Nina has become fragile. Insecurities are making life difficult for her and even the most simple tasks can be daunting because she keeps questioning herself. My heart ached for her. She's a kindhearted, smart and talented woman and doesn't deserve the way she's being treated by her husband and other people in her life. I kept hoping Nina would find some more support from those who would give her the love she deserves and this kept me on the edge of my seat. Alessandra Harris writes about her problems in a fabulous emphatic way. Nina's friendship with Deja is complicated. Deja is skilled at keeping secrets. She thinks she does what she has to do to survive, but she doesn't always make the right decisions, for herself and for the people she cares about. 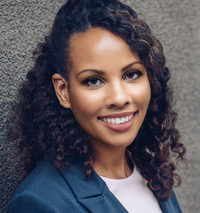 Alessandra Harris has written her story from both Nina and Deja's point of view and I loved that she alternates between them, because that made it possible to get to know the two women really well and feel close to the story. I was intrigued by the friendship and couldn't wait to find out what would happen to both Nina and Deja. Alessandra Harris writes about dishonesty, betrayal, mind games and lies in a fantastic thrilling way. She knows how to build tension, while telling an impressive story about two women who don't have an easy life at the same time. I was captivated by Everything She Lost from beginning to end and read the book in one sitting. I loved the surprising twists and turns and really liked the ending of the story. 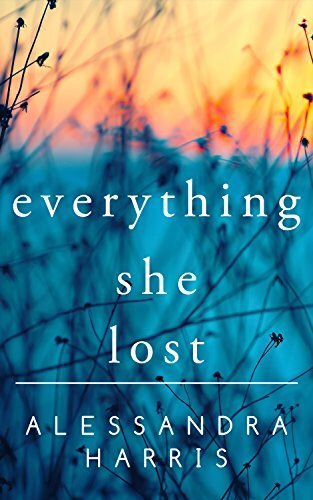 Everything She Lost is an amazing versatile, enthralling and poignant book. If you love gripping stories about complicated friendships you don't want to miss Everything She Lost. Ever since my story about a genie granting a girl’s three wishes won the book fair in the fourth grade, I’ve had a passion for reading and writing (as well as a loathe-loathe relationship with math). I earned a degree in Comparative Religious Studies (where is that expensive piece of paper, anyway?) and have held jobs in education, hospitality, and the legal field. I’m the Organizer of San Jose Novel Writers, a group of eclectic writers offering fellowship, support and tips on all forms of writing. When I’m not writing or working, I’m hanging with my husband, three wonderful sons, and a great daughter (yes, I have four kids). Since I love stories that break your heart but leave you smiling at the end, that’s exactly what I write: made-up stories about almost-real people, in a diverse world. Thanks for stopping by, and stay tuned. The best is on its way. *Stay connected with Alessandra by signing up for her newsletter. One very lucky reader of With Love for Books will receive a kindle copy of Everything She Lost. Nina and Déjà sounds like interesting characters. Love discovering new authors. Great review. Everything She Lost sounds like a tension-filled story full of intrigue and taut with suspense. It sounds like a very emotional read. I never heard of this book, and the author is new to me as well. I may want to check this out. Nice review! I had never heard Alessandra Harris, but this book sounds pretty good. Sounds good, thanks for the review and giveaway! Everything She Lost sounds very intriguing and I can't wait to read it! Looks like one that I would love to get my eyes upon!